Total Hip Arthroplasty (THA) is the final treatment of the end-stage hip osteoarthritis [1Learmonth ID, Young C, Rorabeck C. The operation of the century: total hip replacement. Lancet 2007; 370(9597): 1508-19. [http://dx.doi.org/10.1016/S0140-6736(07)60457-7] [PMID: 179643 52] ]. Patients undergo THA to be relieved from pain and to regain the function of their affected hip joint [2Pivec R, Johnson AJ, Mears SC, Mont MA. Hip arthroplasty. Lancet 2012; 380(9855): 1768-77. [http://dx.doi.org/10.1016/S0140-6736(12)60607-2] [PMID: 230218 46] ]. Nowadays, THA has become very common, cost-effective and one of the most successful orthopaedic procedures [2Pivec R, Johnson AJ, Mears SC, Mont MA. Hip arthroplasty. Lancet 2012; 380(9855): 1768-77. [http://dx.doi.org/10.1016/S0140-6736(12)60607-2] [PMID: 230218 46] -4Mellon SJ, Liddle AD, Pandit H. Hip replacement: landmark surgery in modern medical history. Maturitas 2013; 75(3): 221-6. [http://dx.doi.org/10.1016/j.maturitas.2013.04.011] [PMID: 23693138] ] and is referred to as “the operation of the century” [1Learmonth ID, Young C, Rorabeck C. The operation of the century: total hip replacement. Lancet 2007; 370(9597): 1508-19. [http://dx.doi.org/10.1016/S0140-6736(07)60457-7] [PMID: 179643 52] ]. There is a variety of surgical approaches which are used in THA. The conventional approaches are the anterior approach which was modified and popularized by Smith-Petersen and by siblings Judet J and Judet R [5Smith-Petersen MN. Approach to and exposure of the hip joint for mold arthroplasty. J Bone Joint Surg Am 1949; 31A(1): 40-6. [http://dx.doi.org/10.2106/00004623-194931010-00003] [PMID: 181 22877] , 6Judet J, Judet R. The use of an artificial femoral head for arthroplasty of the hip joint. J Bone Joint Surg Br 1950; 32-B(2): 166-73. [http://dx.doi.org/10.1302/0301-620X.32B2.166] [PMID: 15422013] ], the anterolateral approach which was initially described by Watson-Jones [7Watson‐Jones R. Fractures of the neck of the femur. Br J Surg 1936; 23(92): 787-808. [http://dx.doi.org/10.1002/bjs.1800239213] ], the lateral approach which was described by McFarland and Osborne [8McFarland B, Osborne G. Approach to the hip: a suggested improvement on Kocher’s method. J Bone Joint Surg Br 1954; 36(3): 364-7. [http://dx.doi.org/10.1302/0301-620X.36B3.364] ] and modified by Bauer [9Bauer R, Kerschbaumer F, Poisel S, Oberthaler W. The transgluteal approach to the hip joint. Arch Orthop Trauma Surg 1979; 95(1-2): 47-9. [http://dx.doi.org/10.1007/BF00379169] [PMID: 526126] ] and Hardinge [10Hardinge K. The direct lateral approach to the hip. J Bone Joint Surg Br 1982; 64(1): 17-9. [http://dx.doi.org/10.1302/0301-620X.64B1.7068713] [PMID: 7068 713] ] and the posterior approach which was popularized by Moore [11Moore AT. The self-locking metal hip prosthesis. J Bone Joint Surg Am 1957; 39-A(4): 811-27. [http://dx.doi.org/10.2106/00004623-195739040-00005] [PMID: 134 38939] ]. In the last two decades, surgeons have shifted their interest in approaches to Minimally Invasive Surgery (MIS). 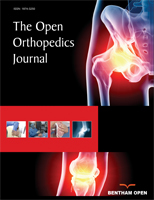 These approaches are either modifications of conventional approaches or they are designed from the beginning as MIS approaches [12Mirza A J, Lombardi A V Jr, Morris M J, Berend K R. 2014.A mini-anterior approach to the hip for total joint replacement: optimising results: improving hip joint replacement outcomes [http://dx.doi.org/10.1302/0301-620X.96B11.34348] -14Rasuli KJ, Gofton W. Percutaneously assisted total hip (PATH) and Supercapsular percutaneously assisted total hip (SuperPATH) arthroplasty: learning curves and early outcomes. Ann Transl Med 2015; 3(13): 179. [PMID: 26366396] ]. Procedures with MIS approaches have the objective of minimizing soft tissue damage, reducing postoperative pain and blood loss and improving functional outcome [15Smith TO, Blake V, Hing CB. 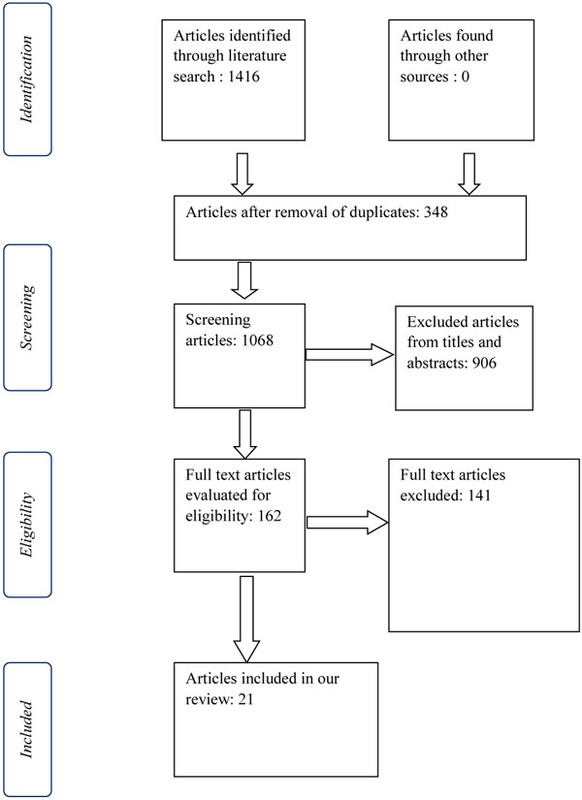 Minimally invasive versus conventional exposure for total hip arthroplasty: a systematic review and meta-analysis of clinical and radiological outcomes. Int Orthop 2011; 35(2): 173-84. [http://dx.doi.org/10.1007/s00264-010-1075-8] [PMID: 20559827] ]. However, there is no consensus among researchers as to which are clear specifications for determining an approach as “minimally invasive”. Many well-designed studies compare two or more approaches on the basis of different factors and try to prove which is more appropriate and has the least postoperative complications. These factors may be postoperative functional recovery using protocols (Harris Hip Score, HOOS – Hip disability and Osteoarthritis Outcome Score, etc.) [16Taunton MJ, Trousdale RT, Sierra RJ, Kaufman K, Pagnano MW. John Charnley Award: Randomized clinical trial of direct anterior and miniposterior approach THA: Which provides better functional recovery? Clin Orthop Relat Res 2018; 476(2): 216-29. [http://dx.doi.org/10.1007/s11999.0000000000000112] [PMID: 295 29650] ], implant positioning through radiographic evaluation [17Laffosse JM, Accadbled F, Molinier F, Chiron P, Hocine B, Puget J. Anterolateral mini-invasive Versus posterior mini-invasive approach for primary total hip replacement. Comparison of exposure and implant positioning. Arch Orthop Trauma Surg 2008; 128(4): 363-9. [http://dx.doi.org/10.1007/s00402-007-0385-9] [PMID: 17639434] ], or gait analysis [18Foucher KC, Wimmer MA, Moisio KC, et al. Time course and extent of functional recovery during the first postoperative year after minimally invasive total hip arthroplasty with two different surgical approaches:A randomized controlled trial. J Biomech 2011; 44(3): 372-8. [http://dx.doi.org/10.1016/j.jbiomech.2010.10.026] [PMID: 21075378] ]. An extensive search of the PubMed/Medline database was conducted by two authors (ST) and (GD) separately in June 2018 in the English language (Fig. 1 ). The search terms were ‘total hip arthroplasty’, ‘total hip replacement’,’ muscle damage’, ‘approach’, ‘serum markers’, ’inflammatory markers’ and were combined using the Boolean operators “AND” or “OR.” The lists of similar articles of the reported articles were also evaluated. Furthermore, the reference lists of the included articles were investigated manually to obtain additional trials. C-Reactive Protein (CRP) is an acute-phase protein secreted by the liver and induced by pro-inflammatory cytokines. Its serum levels increase in trauma, inflammation or infection [23Cole DS, Watts A, Scott-Coombes D, Avades T. Clinical utility of peri-operative C-reactive protein testing in general surgery. Ann R Coll Surg Engl 2008; 90(4): 317-21. [http://dx.doi.org/10.1308/003588408X285865] [PMID: 18492397] , 24Pepys MB, Hirschfield GM. C-reactive protein: a critical update. J Clin Invest 2003; 111(12): 1805-12. [http://dx.doi.org/10.1172/JCI200318921] [PMID: 12813013] ]. CRP has brief half-time and its levels correspond to the potency and duration of the inflammatory factor [25Bray C, Bell LN, Liang H, et al. Erythrocyte sedimentation rate and C-reactive protein measurements and their relevance in clinical medicine. WMJ 2016; 115(6): 317-21. [PMID: 29094869] ]. Erythrocyte sedimentation rates (ESR) express the feature of erythrocytes to adhere together and descend through the blood plasma at the bottom of the container in 60 minutes [26Harrison Michael. Erythrocyte Sedimentation Rate and C-reactive Protein Measurements and Their Relevance in Clinical Medicine. WMJ Abnormal laboratory results: Erythrocyte sedimentation rate and C-reactive protein 2015.]. ESR levels are increased in inflammation, infection, malignancy, pregnancy, anemia, heart malady, renal failure, collagen vascular disease and any other clinical situation that raise fibrinogen [27Brigden ML. Clinical utility of the erythrocyte sedimentation rate. Am Fam Physician 1999; 60(5): 1443-50. [PMID: 10524488] ]. Lactate Dehydrogenase (LDH) catalyzes the anaerobic transformation of pyruvate to lactate and creatine kinase (CK) catalyzes the ATP-dependent phosphorylation of creatine [28Spriet LL, Howlett RA, Heigenhauser GJ. An enzymatic approach to lactate production in human skeletal muscle during exercise. Med Sci Sports Exerc 2000; 32(4): 756-63. [http://dx.doi.org/10.1097/00005768-200004000-00007] [PMID: 10 776894] , 29Wallimann T, Wyss M, Brdiczka D, Nicolay K, Eppenberger HM. Intracellular compartmentation, structure and function of creatine kinase isoenzymes in tissues with high and fluctuating energy demands: the ‘phosphocreatine circuit’ for cellular energy homeostasis. Biochem J 1992; 281(Pt 1): 21-40. [http://dx.doi.org/10.1042/bj2810021] [PMID: 1731757] ]. The use of both enzymes has been widespread regarding soft tissue injury [30Kristjansson RP, Oddsson A, Helgason H, et al. Common and rare variants associating with serum levels of creatine kinase and lactate dehydrogenase. Nat Commun 2016; 7: 10572. [http://dx.doi.org/10.1038/ncomms10572] [PMID: 26838040] ]. TNF-a is an acute phase protein generated during the process of inflammation. It interferes in vascular endothelial cells and accelerates the formation of clotting, atherosclerotic plaque and damage of vessels [31Xue M, Qiqige C, Zhang Q, et al. Effects of Tumor Necrosis Factor α (TNF-α) and Interleukina 10 (IL-10) on Intercellular Cell Adhesion Molecule-1 (ICAM-1) and Cluster of Differentiation 31 (CD31) in Human Coronary Artery Endothelial Cells. Med Sci Monit 2018; 24: 4433-9. [http://dx.doi.org/10.12659/MSM.906838] [PMID: 29949812] ]. Interleukins (IL) consist of a large category of over 50 cytokines produced by molecules of the immune system. They stimulate intricate immu- nomodulatory activities depending on different causative factors [32Brocker C, Thompson D, Matsumoto A, Nebert DW, Vasiliou V. Evolutionary divergence and functions of the human interleukin (IL) gene family. Hum Genomics 2010; 5(1): 30-55. [http://dx.doi.org/10.1186/1479-7364-5-1-30] [PMID: 21106488] ]. In some studies of our review, IL-1, IL-6, IL-8, IL-10, IL-12 and IL-1β were used to evaluate muscle damage. Myoglobin is a protein that is crucial for intracellular pervasion of oxygen in muscles [33Burmester T, Hankeln T. Function and evolution of vertebrate globins. Acta Physiol (Oxf) 2014; 211(3): 501-14. [http://dx.doi.org/10.1111/apha.12312] [PMID: 24811692] ] and is elevated in the circulatory system in the case of muscle injury [34Laurence AS. Serum myoglobin and creatine kinase following surgery. Br J Anaesth 2000; 84(6): 763-6. [http://dx.doi.org/10.1093/oxfordjournals.bja.a013590] [PMID: 10895 753] ]. Heart-type fatty acid binding protein (H- FABP) was initially used as a vulnerable biomarker for cardiac muscle injury [35Pelsers MM, Hermens WT, Glatz JF. Fatty acid-binding proteins as plasma markers of tissue injury. Clin Chim Acta 2005; 352(1-2): 15-35. [http://dx.doi.org/10.1016/j.cccn.2004.09.001] [PMID: 15653098] ]. Afterward, its relation to skeletal muscle trauma was investigated as well. In 2005, Maurice M.A.L. Pelsers et al. in their review inquired into the repercussions of H-FABP levels after other diseases including skeletal muscle injury. They underlined that the concurrent evaluation of H-FABP and myoglobin serum levels is a contributory factor to determine skeletal muscle impairment [35Pelsers MM, Hermens WT, Glatz JF. Fatty acid-binding proteins as plasma markers of tissue injury. Clin Chim Acta 2005; 352(1-2): 15-35. [http://dx.doi.org/10.1016/j.cccn.2004.09.001] [PMID: 15653098] ]. Aspartate Aminotransferase (ASAT) is an enzyme found principally in liver tissue, but also in other tissues including muscles [36Huang XJ, Choi YK, Im HS, Yarimaga O, Yoon E, Kim HS. Aspartate aminotransferase (AST/GOT) and alanine aminotransferase (ALT/GPT) detection techniques. Sensors (Basel) 2006; 6(7): 756-82. [http://dx.doi.org/10.3390/s6070756] ]. Consequently, it has been used as a marker for muscle damage as well [37Pilot P, Kerens B, Draijer WF, et al. Is minimally invasive surgery less invasive in total hip replacement? A pilot study. Injury 2006; 37(Suppl. 5): S17-23. [http://dx.doi.org/10.1016/S0020-1383(07)70007-4] [PMID: 173389 07] ]. Furthermore, skeletal troponin I (sTnI) has been established as a susceptible serum marker of muscle injury [38Chapman DW, Simpson JA, Iscoe S, Robins T, Nosaka K. Changes in serum fast and slow skeletal troponin I concentration following maximal eccentric contractions. J Sci Med Sport 2013; 16(1): 82-5. [http://dx.doi.org/10.1016/j.jsams.2012.05.006] [PMID: 22795680] , 39Sorichter S, Mair J, Koller A, et al. Skeletal troponin I as a marker of exercise-induced muscle damage. J Appl Physiol 1997; 83(4): 1076-82. [http://dx.doi.org/10.1152/jappl.1997.83.4.1076] [PMID: 9338413] ]. Finally, aldolase is an enzyme that catalyzes the transmutation of fructose to glyceraldehyde and dihydroxyacetone and is plentiful in muscle tissue [40Kwak S, Chun Y, Rhyu K, Cha J, Cho Y. Quantitative analysis of tissue injury after minimally invasive total hip arthroplasty. Clin Orthop Surg 2014; 6(3): 279-84. [http://dx.doi.org/10.4055/cios.2014.6.3.279] [PMID: 25177452] ]. Bergin et al. (2011) conducted a level II comparative study between minimally invasive direct anterior (MIS-DA) and minimally invasive posterior (MIS-PO). CK, IL-6, IL1β and TNF-a markers were evaluated preoperative, immediately after surgery and on 1st and 2nd POD. CRP was measured at 1st and 2nd POD. The results indicated the superiority of MIS-DA, because lower levels of all inflammatory markers were estimated compared with MIS-PO. Especially, CK levels elevated 5.5 times higher with MIS-PO instantly after the operation. According to the evaluation of the outcome, CK levels seemed to correlate with the surgical approach, blood loss and transfusion. IL-6 was related to blood loss and IL-1β with ASA grade, incision extent and transfusion. From all the perioperative patient’s elements, significantly higher operative time and incision length in the posterior group were observed [19Bergin PF, Doppelt JD, Kephart CJ, et al. Comparison of minimally invasive direct anterior Versus posterior total hip arthroplasty based on inflammation and muscle damage markers. J Bone Joint Surg Am 2011; 93(15): 1392-8. [http://dx.doi.org/10.2106/JBJS.J.00557] [PMID: 21915544] ]. Zhao et al. (2017) in their RCT highlighted the efficacy of direct anterior approach (DAA) with the posterolateral approach (PLA). The measured serum markers at 1st – 4th (post-operative day (POD) were CK, CRP, IL-6, ESR. DAA was related to statistically significant reduced levels of all markers. Proportionately, patients with DAA needed less time for hospitalization and reported less perceived postoperative pain. Furthermore, functional outcomes using Harris Hip Score (HHS) and University of California Los Angeles activity score (UCLA) indicated the superiority of DAA in 3 months after the operation but no statistically significant discrepancies in 6 months. Conversely, PLA outweighed DAA in terms of less intraoperative blood loss and shorter operative time [41Zhao HY, Kang PD, Xia YY, Shi XJ, Nie Y, Pei FX. Comparison of early functional recovery after total hip arthroplasty using a direct anterior or posterolateral approach: a randomized controlled trial. J Arthroplasty 2017; 32(11): 3421-8. [http://dx.doi.org/10.1016/j.arth.2017.05.056] [PMID: 28662957] ]. Similar results were reported by Poehling-Monaghan et al. (2017), who investigated the association between serum markers and functional outcome in direct anterior approach (DAA) compared to mni-posterior (MPO) approach. They included CK, CRP, IL-6, TNF-a and myoglobin measured at 1st and 2nd POD. Patients who underwent mini-posterior approach had more increased CK, CRP, myoglobin and IL-6 levels than the DAA. Although the greater muscle damage due to serum markers with the mini-posterior approach did not have implications in postoperative functional outcome and VAS pain, no statistically significant differences between two approaches were observed [42Poehling-Monaghan KL, Taunton MJ, Kamath AF, Trousdale RT, Sierra RJ, Pagnano MW. No correlation between serum markers and early functional outcome after contemporary THA. Clin Orthop Relat Res 2017; 475(2): 452-62. [http://dx.doi.org/10.1007/s11999-016-4904-2] [PMID: 27233505] ]. Pilot et al. (2006) conducted a non-randomized, non-blinded comparative study between minimally invasive direct anterior (MIS-DA) and conventional posterolateral approach (PLA). They measured the inflammatory markers H-FABP, IL-6, ASAT, LDH, CK and myoglobin preoperatively and postoperatively at 2 hours, 4 hours, 6 hours, 1st POD and 3rd POD. On the contrary, no functional outcomes were recorded. Researchers concluded that serum marker levels were influenced proportionately in both approaches without significant differences. Quaintly, there was slightly higher blood loss in patients undergoing MIDA approach. The authors assumed that this is a consequence of the required long operative time for MIDA [37Pilot P, Kerens B, Draijer WF, et al. Is minimally invasive surgery less invasive in total hip replacement? A pilot study. Injury 2006; 37(Suppl. 5): S17-23. [http://dx.doi.org/10.1016/S0020-1383(07)70007-4] [PMID: 173389 07] ]. Rykov et al. (2017) in their RCT compared direct anterior approach (DAA) with a posterolateral approach (PLA). In terms of muscle damage, CRP and CK markers were evaluated preoperatively and postoperatively at 2 hours, 1st POD, 1st week and 6th week. Furthermore, functional outcomes were assessed with HHS and HOOS preoperatively and 6th week postoperatively. The obtained results revealed no significant discrepancies between the approaches [43Rykov K, Reininga IHF, Sietsma MS, Knobben BAS, Ten Have BLEF. Posterolateral vs direct anterior approach in total hip arthroplasty (POLADA Trial): a randomized controlled trial to assess differences in serum markers. J Arthroplasty 2017; 32(12): 3652-3658.e1. [http://dx.doi.org/10.1016/j.arth.2017.07.008] [PMID: 28780222] ]. De Anta-Díaz et al. (2016) conducted an RCT comparing direct anterior approach (DAA) with the lateral approach (LA) evaluating soft tissue and muscle damage and functional outcomes. Muscle damage was evaluated with the markers IL-1, IL-6, IL-8, IL-10, IL-12, TNF-a, CK, ESR, CRP. Furthermore, researchers incorporated MRI analysis of the affected soft tissue based on a protocol, pre-operatively and 6 months after surgery. DAA was recorded to have statistically significant lower levels regarding IL-6 at 1st POD, IL-8 at 4th POD, CK at 4th POD, CRP at 15th POD and ESR at 30th POD. MRI findings tracked down greater fatty atrophy in all gluteus muscles with LA. On the other hand, although DAA was found to preserve soft tissue intact better, that was not reflected in postoperative functional outcomes and both groups registered with equivalent HHS. The authors inferred that both approaches are efficient and safe, pointing out that the experience of the surgeon is crucial [44De Anta-Díaz B, Serralta-Gomis J, Lizaur-Utrilla A, Benavidez E, López-Prats FA. No differences between direct anterior and lateral approach for primary total hip arthroplasty related to muscle damage or functional outcome. Int Orthop 2016; 40(10): 2025-30. [PMID: 26753844] ]. Nistor et al. (2017) in their RCT compared 35 patients with a direct anterior approach (DAA) and 35 patients with a lateral approach (LA). They studied muscle damage using myoglobin at 1st POD and CK and LDH serum markers for the first 5 POD. Additionally, postoperative pain, implant positioning and possible complications were assessed. Myoglobin levels were distinctively lower with DAA, but no significant differences in other markers were noticed. Additionally, they reported no differences in terms of postoperative complications and radiographic evaluation. Nevertheless, DAA was related to less postoperative perceived pain especially the 1st POD [45Nistor DV, Caterev S, Bolboacă SD, Cosma D, Lucaciu DOG, Todor A. Transitioning to the direct anterior approach in total hip arthroplasty. Is it a true muscle sparing approach when performed by a low volume hip replacement surgeon? Int Orthop 2017; 41(11): 2245-52. [http://dx.doi.org/10.1007/s00264-017-3480-8] [PMID: 28439629] ]. Similar results recorded by Mjaaland et al. (2015) compared minimally invasive direct anterior (MIDA) with direct lateral (LA). The authors did not find distinctive differences in terms of CRP the first four POD between the two approaches, but CK levels were estimated significantly lower with LA at 4th POD. Nevertheless, MIDA was proved more efficient as far as postoperative pain was concerned, because it was associated with less pain at all POD [46Mjaaland KE, Kivle K, Svenningsen S, Pripp AH, Nordsletten L. Comparison of markers for muscle damage, inflammation, and pain using minimally invasive direct anterior versus direct lateral approach in total hip arthroplasty: A prospective, randomized, controlled trial. J Orthop Res 2015; 33(9): 1305-10. [http://dx.doi.org/10.1002/jor.22911] [PMID: 25877694] ]. Mouilhade et al. (2010) conducted a multicenter prospective study contrasting minimally invasive antero-lateral (Watson-Jones) approach (MIS-AL) with an anterolateral approach with anterior hemimyotomy (AL-HM) in terms of muscle damage with serum markers, functional outcomes, complications and radiographic assessment. Lower CPK levels were recorded at first two POD in patients undergoing MIS-AL, but no significant differences were recorded at myoglobin levels 10 hours postoperatively between the two approaches. MIS-AL revealed better functional outcomes at 6 weeks postoperatively using PMA, HHS, WOMAC. X-rays showed less fluctuation rates in cup inclination with AL-HM. Finally, there were no considerable discrepancies regarding blood loss and complications [47Mouilhade F, Matsoukis J, Oger P, Mandereau C, Brzakala V, Dujardin F. Component positioning in primary total hip replacement: a prospective comparative study of two anterolateral approaches, minimally invasive versus gluteus medius hemimyotomy. Orthop Traumatol Surg Res 2011; 97(1): 14-21. [http://dx.doi.org/10.1016/j.otsr.2010.05.013] [PMID: 21236746] ]. In 2011, Inaba et al. (2011) compared the modified Watson-Jones (M-AL) and modified mini-incision direct lateral approach (MIS-LA). CRP and CK levels were measured immediately after the operation, and at 1st, 3rd, 7th, and 14th POD. Significant higher levels of CK were recorded only at 1ST POD with MIS-LA. However, there were no notable differences concerning functional outcome and measured VAS pain [48Inaba Y, Kobayashi N, Yukizawa Y, Ishida T, Iwamoto N, Saito T. Little clinical advantage of modified Watson-Jones approach over modified mini-incision direct lateral approach in primary total hip arthroplasty. J Arthroplasty 2011; 26(7): 1117-22. [http://dx.doi.org/10.1016/j.arth.2011.04.002] [PMID: 21602025] ]. The same year, Muller et al. (2011) in their RCT compared minimally invasive anterolateral (MIS-AL) Versus modified direct lateral approach (M-LA). They studied soft tissue damage using myoglobin and CK postoperatively at 6 hours, 1st and 4th POD and performing MRI at 3 months and 1 year postoperatively. At 6 hour and 1st POD CK levels were higher with M-LA. MRI revealed greater abductor muscle and tendon damage in M-LA. The authors inferred that MIS-AL approach exhibited less obvious soft tissue impairment [20Müller M, Tohtz S, Springer I, Dewey M, Perka C. Randomized controlled trial of abductor muscle damage in relation to the surgical approach for primary total hip replacement: minimally invasive anterolateral versus modified direct lateral approach. Arch Orthop Trauma Surg 2011; 131(2): 179-89. [http://dx.doi.org/10.1007/s00402-010-1117-0] [PMID: 20490520] ]. Matziolis et al. (2011) underlined the superiority of minimally invasive anterolateral (MIS-AL) compared to minimally invasive transgluteal (MIS-TG) approach. Researchers measured skeletal troponin I (sTnI) as a specific and susceptible serum marker for muscle damage and recorded distinct lower levels with MIS-AL approach at 1st POD. Although there were no notable differences in terms of hospitalization, blood loss and complications, the authors emphasized the restriction of muscle interference using AL approach [49Matziolis D, Wassilew G, Strube P, Matziolis G, Perka C. Differences in muscle trauma quantifiable in the laboratory between the minimally invasive anterolateral and transgluteal approach. Arch Orthop Trauma Surg 2011; 131(5): 651-5. [http://dx.doi.org/10.1007/s00402-010-1190-4] [PMID: 20953874] ]. On the contrary, Landgraeber et al. (2013) in their RCT reported no statistically significant differences postoperatively concerning CRP and CK levels, functional outcomes and perceived pain between minimally invasive anterolateral (MISAL) and conventional lateral (LA). Furthermore, the MIS approach was associated with greater blood loss and longer operative time. The authors indicated the experience of surgeons and predilection for each approach, as the most contributory factors for the success of the operation [50Landgraeber S, Quitmann H, Güth S, et al. A prospective randomized peri- and post-operative comparison of the minimally invasive anterolateral approach versus the lateral approach. Orthop Rev (Pavia) 2013; 5(3): e19. [http://dx.doi.org/10.4081/or.2013.e19] [PMID: 24191179] ]. Suzuki et al (2004) conducted a comparative study between conventional posterolateral (PLA) and minimally invasive posterolateral (MIS-PLA). CRP, ESR were evaluated at 1st and 2nd postoperative week and CPK at 1st POD, 1st and 2nd postoperative week. CRP and ESR levels were significantly lower at 1st week in the MIS group. However, CPK did not indicate important differences between the two groups. Concerning other postoperative data, MIS approach was associated with significantly shorter operative time, lower blood loss and fewer days of hospitalization. In terms of functional outcomes, the Japanese Orthopaedic Association score (JOA) revealed similar results [51Suzuki K, Kawachi S, Sakai H, Nanke H, Morita S. Mini-incision total hip arthroplasty: a quantitative assessment of laboratory data and clinical outcomes. J Orthop Sci 2004; 9(6): 571-5. [http://dx.doi.org/10.1007/s00776-004-0830-3] [PMID: 16228673] ]. In 2014, Kwak et al. (2014) compared the conventional posterolateral (PLA) (15 cm incision length) to a minimally invasive posterolateral (MIS-PLA) (7-8 cm incision length). To examine soft tissue damage, they used CK and aldolase serum markers and IL-1, IL-6, IL-8, IL-10 cytokines at 1st, 3rd, 7th and 14th POD. The results showed that during the proximate postoperative period (1st and 3rd POD) MIS approach was related to significantly lower levels regarding all markers. In addition, the mean blood loss was statistically higher in patients undergoing PLA. The authors summarized that MIS approach provokes less impairment in soft tissue and restricts systematic inflammation after surgery [40Kwak S, Chun Y, Rhyu K, Cha J, Cho Y. Quantitative analysis of tissue injury after minimally invasive total hip arthroplasty. Clin Orthop Surg 2014; 6(3): 279-84. [http://dx.doi.org/10.4055/cios.2014.6.3.279] [PMID: 25177452] ]. On the contrary, Fink et al. (2010) in their prospective study compared conventional posterolateral (PLA) and minimal invasive posterolateral (MIS-PLA) approaches. CPK, CK-MM, and myoglobin were recorded on the 1st and 2nd POD and CRP was measured on the 3rd POD. Conversely to the previous study, serum markers did not indicate a meaningful difference in muscle and soft tissue injury between the two groups. Yet, MIS approach was related to lower levels of perceived pain at rest, lower levels of total blood loss and shorter required period of hospitalization [52Fink B, Mittelstaedt A, Schulz MS, Sebena P, Singer J. Comparison of a minimally invasive posterior approach and the standard posterior approach for total hip arthroplasty A prospective and comparative study. J Orthop Surg Res 2010; 5(1): 46. [http://dx.doi.org/10.1186/1749-799X-5-46] [PMID: 20663200] ]. Mazoochian et al. (2009) measured CK and myoglobin laboratory data 6 hours after surgery, at 1st POD and at 2nd POD, in patients treated with standard lateral (LA) or minimally invasive lateral (modified Hardinge) approach (MISLA). The results showed statistically notable lower myoglobin levels only at 6 h postoperatively with MIS-LA approach. Furthermore, MISLA approach was associated with shorter operating time, less blood loss and better functional results (HHS and WOMAC score) on the day of discharge, 6 weeks and 3 months postoperatively [53Mazoochian F, Weber P, Schramm S, Utzschneider S, Fottner A, Jansson V. Minimally invasive total hip arthroplasty: a randomized controlled prospective trial. Arch Orthop Trauma Surg 2009; 129(12): 1633-9. [http://dx.doi.org/10.1007/s00402-009-0870-4] [PMID: 19424709] ]. In 2014 Dienstknecht et al. (2014) compared muscle damage between conventional lateral, transgluteal approach (Bauer) (LA) and mini-incision (MIS-LA) approach with CRP and CK markers. Serum markers were measured at 2nd and 7th POD. No statistically important differences were observed regarding serum markers. Yet, discernibly lower levels of VAS for pain were observed in the first 6 POD with the MI approach [54Dienstknecht T, Lüring C, Tingart M, Grifka J, Sendtner E. Total hip arthroplasty through the mini-incision (Micro-hip) approach Versus the standard transgluteal (Bauer) approach: a prospective, randomised study. J Orthop Surg (Hong Kong) 2014; 22(2): 168-72. [http://dx.doi.org/10.1177/230949901402200210] [PMID: 25163948] ]. In 2009, Shitama et al. (2009) conducted an RCT of 62 THA. All operations were performed with either lateral or postero-lateral approach and divided into conventional lateral (LA) and posterolateral (PLA) and minimal invasive lateral (MIS-LA) and posterolateral (MIS-PLA) groups. CRP and IL-6 serum markers were recorded preoperatively and the 1st POD. After the assessment of the results, no statistically noteworthy discrepancies were found in soft tissue damage and functional postoperative outcomes. The researchers concluded that the mean longer incision length with standard approaches did not deteriorate postoperatively clinical results [55Shitama T, Kiyama T, Naito M, Shiramizu K, Huang G. Which is more invasive-mini Versus standard incisions in total hip arthroplasty? Int Orthop 2009; 33(6): 1543-7. [http://dx.doi.org/10.1007/s00264-008-0708-7] [PMID: 19148642] ]. Proportionate results were detected later by Goosen et al. (2011) in their double-blind RCT. They allocated 120 patients into MIS and standard groups, using PLA and AL approach. CK and myoglobin levels were equal before and after surgery in both classes. Similarly, there were no statistically significant differences in terms of blood loss, complications and implant positioning. Regarding functional outcomes, patients undergoing MIS approaches had only significantly better HHS at 6 weeks postoperatively [56Goosen JH, Kollen BJ, Castelein RM, Kuipers BM, Verheyen CC. Minimally invasive Versus classic procedures in total hip arthroplasty: a double-blind randomized controlled trial. Clin Orthop Relat Res 2011; 469(1): 200-8. [http://dx.doi.org/10.1007/s11999-010-1331-7] [PMID: 20352383] ]. Finally, Cohen et al. (2009) conducted a study comparing three MIS approaches; a modified Watson Jones, minimal invasive posterior (MIS-I) and minimally invasive two-incision (MIS-II) approach. They measured CK, CPK and myoglobin preoperatively and at 1st h, 8th h, 16th h, 1st POD, 36th h, 2nd POD and 3rd POD postoperatively. The authors came to the conclusion that the fluctuation of serum markers levels did not differ significantly between the approaches and proposed that no approach has an important advantage [57Cohen RG, Katz JA, Skrepnik NV. The relationship between skeletal muscle serum markers and primary THA: a pilot study. Clin Orthop Relat Res 2009; 467(7): 1747-52. [http://dx.doi.org/10.1007/s11999-009-0809-7] [PMID: 19326181] ]. As stated above, the anterior approach is probably the most studied approach. In our review, eight studies evaluated anterior or MIS anterior approaches. In five studies [19Bergin PF, Doppelt JD, Kephart CJ, et al. Comparison of minimally invasive direct anterior Versus posterior total hip arthroplasty based on inflammation and muscle damage markers. J Bone Joint Surg Am 2011; 93(15): 1392-8. [http://dx.doi.org/10.2106/JBJS.J.00557] [PMID: 21915544] , 41Zhao HY, Kang PD, Xia YY, Shi XJ, Nie Y, Pei FX. Comparison of early functional recovery after total hip arthroplasty using a direct anterior or posterolateral approach: a randomized controlled trial. J Arthroplasty 2017; 32(11): 3421-8. [http://dx.doi.org/10.1016/j.arth.2017.05.056] [PMID: 28662957] , 42Poehling-Monaghan KL, Taunton MJ, Kamath AF, Trousdale RT, Sierra RJ, Pagnano MW. No correlation between serum markers and early functional outcome after contemporary THA. Clin Orthop Relat Res 2017; 475(2): 452-62. [http://dx.doi.org/10.1007/s11999-016-4904-2] [PMID: 27233505] , 44De Anta-Díaz B, Serralta-Gomis J, Lizaur-Utrilla A, Benavidez E, López-Prats FA. No differences between direct anterior and lateral approach for primary total hip arthroplasty related to muscle damage or functional outcome. Int Orthop 2016; 40(10): 2025-30. [PMID: 26753844] , 45Nistor DV, Caterev S, Bolboacă SD, Cosma D, Lucaciu DOG, Todor A. Transitioning to the direct anterior approach in total hip arthroplasty. Is it a true muscle sparing approach when performed by a low volume hip replacement surgeon? Int Orthop 2017; 41(11): 2245-52. [http://dx.doi.org/10.1007/s00264-017-3480-8] [PMID: 28439629] ], anterior approach was correlated with lower levels of serum markers compared to posterior approaches or lateral approaches. From these studies, only one reported shorter operative time using DAA [19Bergin PF, Doppelt JD, Kephart CJ, et al. Comparison of minimally invasive direct anterior Versus posterior total hip arthroplasty based on inflammation and muscle damage markers. J Bone Joint Surg Am 2011; 93(15): 1392-8. [http://dx.doi.org/10.2106/JBJS.J.00557] [PMID: 21915544] ]. Two studies estimated longer operative time with DAA [41Zhao HY, Kang PD, Xia YY, Shi XJ, Nie Y, Pei FX. Comparison of early functional recovery after total hip arthroplasty using a direct anterior or posterolateral approach: a randomized controlled trial. J Arthroplasty 2017; 32(11): 3421-8. [http://dx.doi.org/10.1016/j.arth.2017.05.056] [PMID: 28662957] , 45Nistor DV, Caterev S, Bolboacă SD, Cosma D, Lucaciu DOG, Todor A. Transitioning to the direct anterior approach in total hip arthroplasty. Is it a true muscle sparing approach when performed by a low volume hip replacement surgeon? Int Orthop 2017; 41(11): 2245-52. [http://dx.doi.org/10.1007/s00264-017-3480-8] [PMID: 28439629] ], one study reported no significant differences between the approaches [44De Anta-Díaz B, Serralta-Gomis J, Lizaur-Utrilla A, Benavidez E, López-Prats FA. No differences between direct anterior and lateral approach for primary total hip arthroplasty related to muscle damage or functional outcome. Int Orthop 2016; 40(10): 2025-30. [PMID: 26753844] ] and one study did not assess the operating time [42Poehling-Monaghan KL, Taunton MJ, Kamath AF, Trousdale RT, Sierra RJ, Pagnano MW. No correlation between serum markers and early functional outcome after contemporary THA. Clin Orthop Relat Res 2017; 475(2): 452-62. [http://dx.doi.org/10.1007/s11999-016-4904-2] [PMID: 27233505] ]. No study recorded statistically significant discrepancies in blood loss or transfusion requirements. Regarding postoperative functional outcomes, two studies referred to better results. The first study [41Zhao HY, Kang PD, Xia YY, Shi XJ, Nie Y, Pei FX. Comparison of early functional recovery after total hip arthroplasty using a direct anterior or posterolateral approach: a randomized controlled trial. J Arthroplasty 2017; 32(11): 3421-8. [http://dx.doi.org/10.1016/j.arth.2017.05.056] [PMID: 28662957] ] reported better Harris Hip Score (HHS) and University of California Los Angeles activity score (UCLA) three months postoperatively. The second study [42Poehling-Monaghan KL, Taunton MJ, Kamath AF, Trousdale RT, Sierra RJ, Pagnano MW. No correlation between serum markers and early functional outcome after contemporary THA. Clin Orthop Relat Res 2017; 475(2): 452-62. [http://dx.doi.org/10.1007/s11999-016-4904-2] [PMID: 27233505] ] registered more steps in the immediate postoperative days in hospital for patients who underwent DAA. Moreover, two studies correlated lower levels of perceived (VAS) pain with patients who underwent DAA [42Poehling-Monaghan KL, Taunton MJ, Kamath AF, Trousdale RT, Sierra RJ, Pagnano MW. No correlation between serum markers and early functional outcome after contemporary THA. Clin Orthop Relat Res 2017; 475(2): 452-62. [http://dx.doi.org/10.1007/s11999-016-4904-2] [PMID: 27233505] , 45Nistor DV, Caterev S, Bolboacă SD, Cosma D, Lucaciu DOG, Todor A. Transitioning to the direct anterior approach in total hip arthroplasty. Is it a true muscle sparing approach when performed by a low volume hip replacement surgeon? Int Orthop 2017; 41(11): 2245-52. [http://dx.doi.org/10.1007/s00264-017-3480-8] [PMID: 28439629] ]. Three studies measured implant positioning [19Bergin PF, Doppelt JD, Kephart CJ, et al. Comparison of minimally invasive direct anterior Versus posterior total hip arthroplasty based on inflammation and muscle damage markers. J Bone Joint Surg Am 2011; 93(15): 1392-8. [http://dx.doi.org/10.2106/JBJS.J.00557] [PMID: 21915544] , 41Zhao HY, Kang PD, Xia YY, Shi XJ, Nie Y, Pei FX. Comparison of early functional recovery after total hip arthroplasty using a direct anterior or posterolateral approach: a randomized controlled trial. J Arthroplasty 2017; 32(11): 3421-8. [http://dx.doi.org/10.1016/j.arth.2017.05.056] [PMID: 28662957] , 45Nistor DV, Caterev S, Bolboacă SD, Cosma D, Lucaciu DOG, Todor A. Transitioning to the direct anterior approach in total hip arthroplasty. Is it a true muscle sparing approach when performed by a low volume hip replacement surgeon? Int Orthop 2017; 41(11): 2245-52. [http://dx.doi.org/10.1007/s00264-017-3480-8] [PMID: 28439629] ]. Zhao et al. found that DAA approach was related to the smaller fluctuation of cup inclination and anteversion. Nistor et al. found greater cup abduction in LA approach group. Bergin et al. measured no considerable differences. Only one study [44De Anta-Díaz B, Serralta-Gomis J, Lizaur-Utrilla A, Benavidez E, López-Prats FA. No differences between direct anterior and lateral approach for primary total hip arthroplasty related to muscle damage or functional outcome. Int Orthop 2016; 40(10): 2025-30. [PMID: 26753844] ] evaluated MRI findings postoperatively and compared them with muscle damage according to serum markers. Statistically significant discrepancies were observed because lateral approach caused important fatty atrophy in all gluteal muscles and thickness of tensor fasciae latae muscle contrasting with DAA. These results coincided with the estimated lower levels of serum markers of DAA postoperatively. Finally, no studies registered notable differences in regards to postoperative complications. On the other hand, two studies [37Pilot P, Kerens B, Draijer WF, et al. Is minimally invasive surgery less invasive in total hip replacement? A pilot study. Injury 2006; 37(Suppl. 5): S17-23. [http://dx.doi.org/10.1016/S0020-1383(07)70007-4] [PMID: 173389 07] , 43Rykov K, Reininga IHF, Sietsma MS, Knobben BAS, Ten Have BLEF. Posterolateral vs direct anterior approach in total hip arthroplasty (POLADA Trial): a randomized controlled trial to assess differences in serum markers. J Arthroplasty 2017; 32(12): 3652-3658.e1. [http://dx.doi.org/10.1016/j.arth.2017.07.008] [PMID: 28780222] ] found no considerable differences in serum markers between anterior and posterior approaches. Contrary to their expectations, Pilot P et al. (2006) and colleagues noticed equivalent muscle damage due to serum maker in both approaches, more required operating time and relatively higher blood loss postoperatively when using MIS anterior approach. Similar outcomes were recorded by Rykov et al. (2017), as DAA was associated with longer operative time and slightly higher rates of blood loss. Lastly, no considerable differences were recorded in terms of complications. Merely one study [46Mjaaland KE, Kivle K, Svenningsen S, Pripp AH, Nordsletten L. Comparison of markers for muscle damage, inflammation, and pain using minimally invasive direct anterior versus direct lateral approach in total hip arthroplasty: A prospective, randomized, controlled trial. J Orthop Res 2015; 33(9): 1305-10. [http://dx.doi.org/10.1002/jor.22911] [PMID: 25877694] ] reported higher CK levels at 4th POD using the anterior approach compared to the lateral approach. Furthermore, the duration of surgery was longer with MIDA. Conversely, the perceived pain was significantly lower at all POD. MIS anterolateral approach was evaluated in six studies. In four studies, [47Mouilhade F, Matsoukis J, Oger P, Mandereau C, Brzakala V, Dujardin F. Component positioning in primary total hip replacement: a prospective comparative study of two anterolateral approaches, minimally invasive versus gluteus medius hemimyotomy. Orthop Traumatol Surg Res 2011; 97(1): 14-21. [http://dx.doi.org/10.1016/j.otsr.2010.05.013] [PMID: 21236746] , 48Inaba Y, Kobayashi N, Yukizawa Y, Ishida T, Iwamoto N, Saito T. Little clinical advantage of modified Watson-Jones approach over modified mini-incision direct lateral approach in primary total hip arthroplasty. J Arthroplasty 2011; 26(7): 1117-22. [http://dx.doi.org/10.1016/j.arth.2011.04.002] [PMID: 21602025] , 20Müller M, Tohtz S, Springer I, Dewey M, Perka C. Randomized controlled trial of abductor muscle damage in relation to the surgical approach for primary total hip replacement: minimally invasive anterolateral versus modified direct lateral approach. Arch Orthop Trauma Surg 2011; 131(2): 179-89. [http://dx.doi.org/10.1007/s00402-010-1117-0] [PMID: 20490520] , 49Matziolis D, Wassilew G, Strube P, Matziolis G, Perka C. Differences in muscle trauma quantifiable in the laboratory between the minimally invasive anterolateral and transgluteal approach. Arch Orthop Trauma Surg 2011; 131(5): 651-5. [http://dx.doi.org/10.1007/s00402-010-1190-4] [PMID: 20953874] ] MIS-AL was associated with less invasiveness according to serum markers compared to MIS LA, AL approach with anterior hemimyotomy (AL-HM), MIS transgluteal (TG) or modified DLA. All these studies observed imperceptible differences regarding blood loss and postoperative complications between the approaches. One study recorded significantly longer operative duration approach and perceived pain using MIS-AL [47Mouilhade F, Matsoukis J, Oger P, Mandereau C, Brzakala V, Dujardin F. Component positioning in primary total hip replacement: a prospective comparative study of two anterolateral approaches, minimally invasive versus gluteus medius hemimyotomy. Orthop Traumatol Surg Res 2011; 97(1): 14-21. [http://dx.doi.org/10.1016/j.otsr.2010.05.013] [PMID: 21236746] ]. The same researchers also found better functional scores six weeks postoperatively with MIS AL. In addition, Michael Muller et al. 2011 found in their follow-up examination significantly higher rates of negative Trendelenburg sign 1 year after surgery in patients undergoing ALMI. Three studies [47Mouilhade F, Matsoukis J, Oger P, Mandereau C, Brzakala V, Dujardin F. Component positioning in primary total hip replacement: a prospective comparative study of two anterolateral approaches, minimally invasive versus gluteus medius hemimyotomy. Orthop Traumatol Surg Res 2011; 97(1): 14-21. [http://dx.doi.org/10.1016/j.otsr.2010.05.013] [PMID: 21236746] -49Matziolis D, Wassilew G, Strube P, Matziolis G, Perka C. Differences in muscle trauma quantifiable in the laboratory between the minimally invasive anterolateral and transgluteal approach. Arch Orthop Trauma Surg 2011; 131(5): 651-5. [http://dx.doi.org/10.1007/s00402-010-1190-4] [PMID: 20953874] ] dealt with implant positioning through radiographic evaluation and only one revealed higher fluctuation in cup inclination with MIS AL [49Matziolis D, Wassilew G, Strube P, Matziolis G, Perka C. Differences in muscle trauma quantifiable in the laboratory between the minimally invasive anterolateral and transgluteal approach. Arch Orthop Trauma Surg 2011; 131(5): 651-5. [http://dx.doi.org/10.1007/s00402-010-1190-4] [PMID: 20953874] ]. Conversely, in two studies [50Landgraeber S, Quitmann H, Güth S, et al. A prospective randomized peri- and post-operative comparison of the minimally invasive anterolateral approach versus the lateral approach. Orthop Rev (Pavia) 2013; 5(3): e19. [http://dx.doi.org/10.4081/or.2013.e19] [PMID: 24191179] , 57Cohen RG, Katz JA, Skrepnik NV. The relationship between skeletal muscle serum markers and primary THA: a pilot study. Clin Orthop Relat Res 2009; 467(7): 1747-52. [http://dx.doi.org/10.1007/s11999-009-0809-7] [PMID: 19326181] ] no significant differences were observed in muscle damage contrasting with MIS posterior and MIS two incision or conventional lateral (LA) approaches. Cohen et al recorded shorter operative time and lower rates of blood loss at MIS-AL group. Quaintly, Landgraeber et al estimated longer duration of surgery and higher levels of blood loss in MIS-AL group. Three studies dealt with the comparison between standard posterior and MIS posterior approaches. Two studies [40Kwak S, Chun Y, Rhyu K, Cha J, Cho Y. Quantitative analysis of tissue injury after minimally invasive total hip arthroplasty. Clin Orthop Surg 2014; 6(3): 279-84. [http://dx.doi.org/10.4055/cios.2014.6.3.279] [PMID: 25177452] , 51Suzuki K, Kawachi S, Sakai H, Nanke H, Morita S. Mini-incision total hip arthroplasty: a quantitative assessment of laboratory data and clinical outcomes. J Orthop Sci 2004; 9(6): 571-5. [http://dx.doi.org/10.1007/s00776-004-0830-3] [PMID: 16228673] ] ratified the eminence of the MIS technique, but one study [52Fink B, Mittelstaedt A, Schulz MS, Sebena P, Singer J. Comparison of a minimally invasive posterior approach and the standard posterior approach for total hip arthroplasty A prospective and comparative study. J Orthop Surg Res 2010; 5(1): 46. [http://dx.doi.org/10.1186/1749-799X-5-46] [PMID: 20663200] ] did not come up with significant differences in serum markers. All three studies punctuated the predominance of MIS approach. Specifically, the MIS technique was correlated with lower levels of blood loss in all studies. Two studies [51Suzuki K, Kawachi S, Sakai H, Nanke H, Morita S. Mini-incision total hip arthroplasty: a quantitative assessment of laboratory data and clinical outcomes. J Orthop Sci 2004; 9(6): 571-5. [http://dx.doi.org/10.1007/s00776-004-0830-3] [PMID: 16228673] , 52Fink B, Mittelstaedt A, Schulz MS, Sebena P, Singer J. Comparison of a minimally invasive posterior approach and the standard posterior approach for total hip arthroplasty A prospective and comparative study. J Orthop Surg Res 2010; 5(1): 46. [http://dx.doi.org/10.1186/1749-799X-5-46] [PMID: 20663200] ] showed less required duration of hospitalization for the patients who had undergone MIS approach. Suzuki et al recorded less operative time for MIS approach and finally, Fink et al estimated less perceived pain. Moreover, from the two studies comparing conventional lateral approach and MIS lateral approach, one underlined the efficacy of MIS method [53Mazoochian F, Weber P, Schramm S, Utzschneider S, Fottner A, Jansson V. Minimally invasive total hip arthroplasty: a randomized controlled prospective trial. Arch Orthop Trauma Surg 2009; 129(12): 1633-9. [http://dx.doi.org/10.1007/s00402-009-0870-4] [PMID: 19424709] ], but the other study [54Dienstknecht T, Lüring C, Tingart M, Grifka J, Sendtner E. Total hip arthroplasty through the mini-incision (Micro-hip) approach Versus the standard transgluteal (Bauer) approach: a prospective, randomised study. J Orthop Surg (Hong Kong) 2014; 22(2): 168-72. [http://dx.doi.org/10.1177/230949901402200210] [PMID: 25163948] ] deduced that both approaches cause similar muscle damage. Yet, both studies underlined the superiority of MIS LA approach. Mazoochian et al demonstrated the advantages of MIS method in terms of shorter operating time, lower blood loss and better functional results (HHS and WOMAC) 6 weeks and 3 months postoperatively. On the other hand, Dienstknecht et al registered lower rates of VAS pain and shorter required surgical time in the MIS group. Finally, two studies compared simultaneously conventional lateral (LA) or postero-lateral (PLA) approaches with minimal invasive lateral (MIS-LA) and posterolateral (MIS-PLA). The results did not demonstrate significant differences in serum markers [55Shitama T, Kiyama T, Naito M, Shiramizu K, Huang G. Which is more invasive-mini Versus standard incisions in total hip arthroplasty? Int Orthop 2009; 33(6): 1543-7. [http://dx.doi.org/10.1007/s00264-008-0708-7] [PMID: 19148642] , 56Goosen JH, Kollen BJ, Castelein RM, Kuipers BM, Verheyen CC. Minimally invasive Versus classic procedures in total hip arthroplasty: a double-blind randomized controlled trial. Clin Orthop Relat Res 2011; 469(1): 200-8. [http://dx.doi.org/10.1007/s11999-010-1331-7] [PMID: 20352383] ]. Both studies calculated longer operative time in MIS groups. Concerning the other perioperative and postoperative data, there were no statistically significant differences.